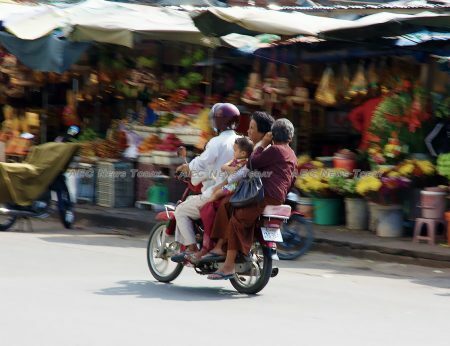 Southeast Asia is experiencing rapid urbanisation, and with it comes more and more people who are absorbed into the unregulated, informal sectors of the economy. 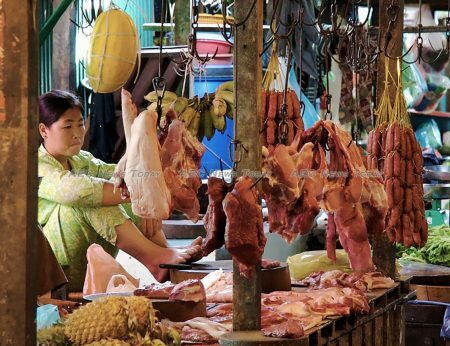 In Cambodia, more than 95 per cent of the aggregate labour force is employed in unregulated, informal activities such as street vending, construction and transport. 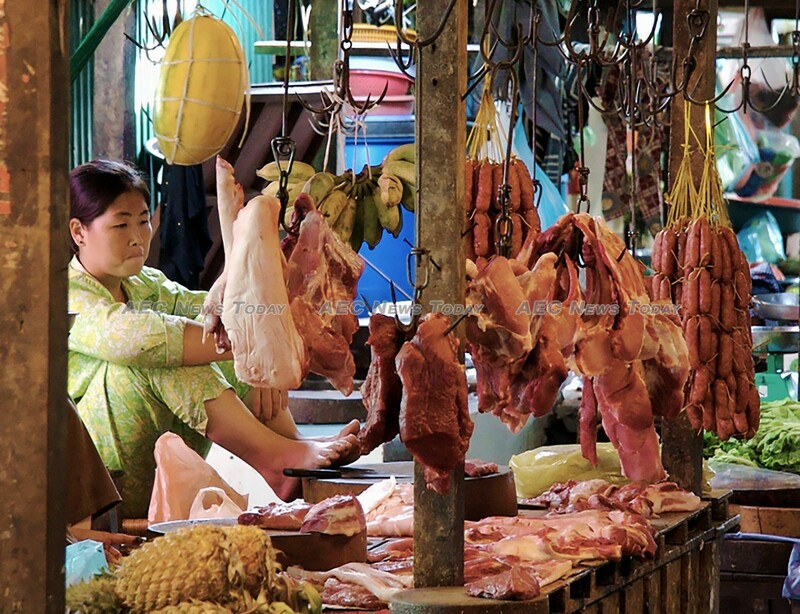 In its 2013 report on Cambodia the International Labor Organization (ILO) reported that out of the 7.2 million employed persons aged 15 or older, 17.7 per cent were employed in formal and regulated sectors with social protection, 1.1 per cent were involved in household activities, and 81.2 per cent worked in unregulated sectors without any form of social protection. 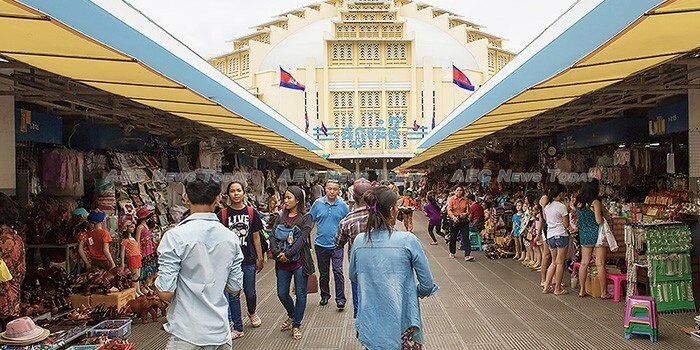 The capital, Phnom Penh, offers regulated employment opportunities in three of its most dominant sectors: public administration, the garment industry, and tourism. But as the ILO study observed, occupations in these sectors do not always provide enough income for workers’ sustenance, which means most residents — including those who migrate from other provinces — work in unregulated sectors, even if only on a part-time basis. Informal businesses tend to be missing from official employment data, leading to the term ‘invisible entrepreneurs’. Invisible entrepreneurs include micro and small enterprises in occupational areas such as accommodation, food and vehicle-repair services, taxi drivers, street vendors and domestic helpers. A lack of alternative employment opportunities in the rural provinces, low levels of skill development and a desire to earn a higher income all often motivate invisible entrepreneurs to travel from peripheral regions to the large cities of Phnom Penh, Siem Reap, and Battambang. 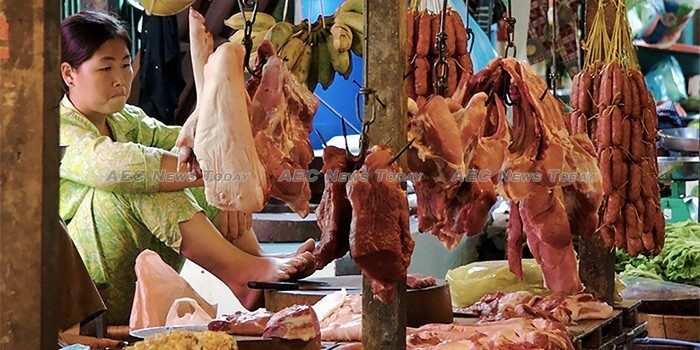 A National Institute of Statistics (NIS) study in 2013 estimated that 505,134 business establishments operate in Cambodia, of which 41,771 are unregulated street-side businesses. This accounts for 8.3 per cent of the country’s businesses. Phnom Penh alone is home to 26.6 per cent of these establishments, with 11,118 running as street-side businesses. 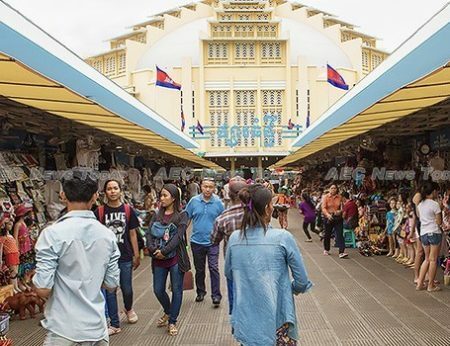 The Centre for New Economics Studies (CNES) (OP Jindal Global University, India) recently completed a study on invisible entrepreneurs in three of Phnom Penh’s largest markets: Doeum Kor, Orussey, and Psa Toul Tom Pung (popularly called the ‘Russian Market’). Street vendors belonged to a spread of age groups: 15 to 30; 30 to 45; and above 60. The number of female entrepreneurs is overwhelmingly larger than male entrepreneurs: on average, 80 per cent of street vendors in each market were women who also managed and owned the respective business enterprises themselves. On a monthly basis an entrepreneur’s overall spending includes an import cost to procure products sold and an electricity charge ranging from KHR1500 to KHR60,000 riels (between US$0.35 and $15) per kilowatt. Vendors pay a rental fee of $37.5 to $75 per month in Doeum Kor market, $300 to $600 in the ‘Russian market’ and $700 in Orussey market. This fee is paid to the local officer for ensuring overall security, in lieu of legal and police protection. All street vendors must also pay about $14.50 annually to local market authorities. This annual fee is viewed as a negotiated bargain with agents claiming to represent municipal authorities to exempt street vendors from indirect taxes on the retail price of products. Profits remain seasonally volatile, peaking during festivals and tourist periods (December to February). One spice vendor stated that on a normal day selling at least seven kilograms, they earn an average daily income of $50 to $100. This number rises to around $300 to $500 during the marriage season, which usually starts from early November and goes until late March. They can earn an average profit of 25 to 35 per cent on the overall cost incurred. Despite the absence of social protection (such as healthcare insurance, unemployment insurance and bank savings), most of Cambodia’s invisible entrepreneurs interviewed, particularly women, worked with high levels of satisfaction. They preferred to retain their autonomy to run their own business over other options. One can find similar observations in Thailand and Indonesia, where the majority of street vendors are women. A 2016 study found that of 400 vendors in four districts in Bangkok, more than 70 per cent were women. When it comes to urban planning in Phnom Penh there is a strong need for state agencies to study the dynamics of unregulated, informal businesses and to understand the needs of street vendors and other invisible entrepreneurs. In times of rising urban informality, it is pertinent to adopt a more inclusive approach in re-conceptualising definitions of “informal” and “formal” labour, so that they are in alignment with the needs of people working both within and outside the regulatory frameworks of cities across Southeast Asia. This article was written by Richa Sekhani, a researcher at the Indian Council for Research on International Economic Relations (ICRIER), New Delhi and Deepanshu Mohan, an assistant professor of economics and the executive director of the Centre for New Economics Studies (CNES) at the Jindal School of International Affairs. It first appeared on East Asia Forum under a Creative Commons License and is reproduced here with its permission.